The VW Group’s new MEB electric car platform will underpin more than just the upcoming 2020 VW ID Hatchback. The all-new Seat concept, which from the squiggly logo seems to be named ‘El-Born’ after the trendy Barcelona neighborhood, is an even closer to production version of VW’s study with a bit of Spanish flair. 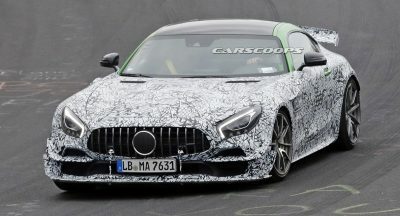 While the teaser image released earlier today indicated that the vehicle might actually have an aggressive exterior design, that is not the case. 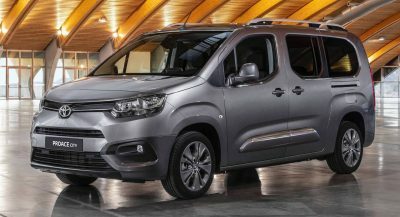 It does look modern and a little bit MPV-like, just as with its previously-mentioned VW brand sibling. You can tell that the El-Born isn’t an ICE-powered vehicle just by looking at the front end. It actually looks a little bit like the Tesla Model 3’s fascia, while the absence of a traditional radiator grille further indicates that this is an environmentally friendly car, one that doesn’t require gasoline or diesel to get around. 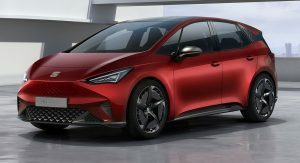 Its strong connection to the ID Hatchback is very easy to identify, courtesy of not just the overall shape, but also details like the A-pillar design, or the way in which the rear door panel sweeps upwards towards the C-pillar. These design traits made their way from the ID Concept to the multiple ID Hatchback prototypes spotted testing. Another hard-to-miss detail regarding the Spanish concept is the fact that, unlike the VW that had sliding rear doors (notice the handles), this one gets traditional doors. The interior of the Seat el Born Concept isn’t as futuristic as the one from the ID Concept. But that’s to be expected. As with the rest of the car, it’s more realistic and production ready, while the long, panoramic windshield design ought to make the cabin feel quite spacious. We also notice the absence of a conventional center console, replaced instead by a massive storage shelf. Other details include the flat-bottom steering wheel, digital gauge cluster and a driver oriented touchscreen infotainment display. Now, if you’re wondering where the gear lever is, Seat positioned it behind the steering wheel on the right side, seemingly attached to the gauge cluster. 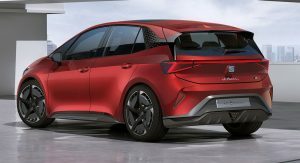 If the VW ID Hatch is any indication, and it really is, than this concept should be powered by a rear-mounted 170 PS (168 HP) electric motor and a 111 kWh battery pack, allowing for an estimated range of some 550 km (342 miles) on a single charge by WLTP standards – or just under 300 miles (483 km) according to the EPA test cycle. 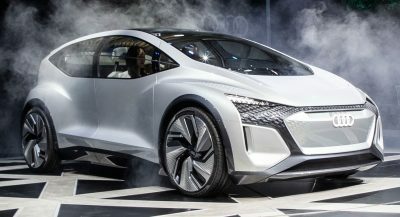 The concept will take center stage for Seat next week at the 2019 Geneva Motor Show, March 5-17. Thanks to Lars for the tip! I just want to point out that this concept is not based on the I.D. Concept, but instead is based on the production/prototype VW I.D. 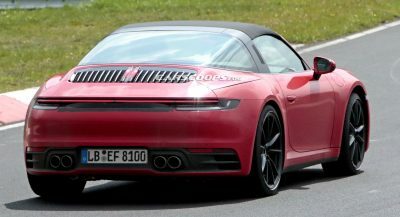 So, not only does this actually give us a glimpse into what that vehicle (The VW I.D.) will be like, but it just goes to show the likelihood of this vehicle (Seat “El-Born“) reaching production. kind of looks like a prev. gen Ford Focus ST and a Chevy Bolt had a baby. very sharp. the interior looks production ready, so hopefully not much will change on the exterior. First impressions are a bit meh. It’s a ‘concept’ which means it will look a lot more dulled down in production form, therefore it’ll fit right into the electric car class, looking like a happy night between a Tesla 3 and Nissan Leaf, it doesn’t push the game on design wise. It’s actually based on the production ID, so it won’t need to really change at all for production. It does have sharp looks compared to the smoother lines of the VW. You can see where the taillight is broken up to allow the trunk to open. I CAN DO WITHOUT THE NISSAN INSPIRED C-PILLAR TREATMENT/FLOATING ROOF. It helps distinguish it from its VW sister. At first glance I thought someone had rendered a Tesla mini-MPV. Looks ok, not great. Like a mashup between Chevy Bolt, BMW i3, and Tesla Model 3. Lol no that battery won‘t fit into this car. The biggest will be 83 kWh, just like in the Neo. But the screen shows „420km“, so this Concept has the 62 kWh battery. Like it. As a matter of fact, with a better ‘nose job’ than the Tesla Model 3 has gotten. Hmmm, this or the Honda thing? Do I really need to ask? 200hp yet only 7.5s… that’s seems slow.